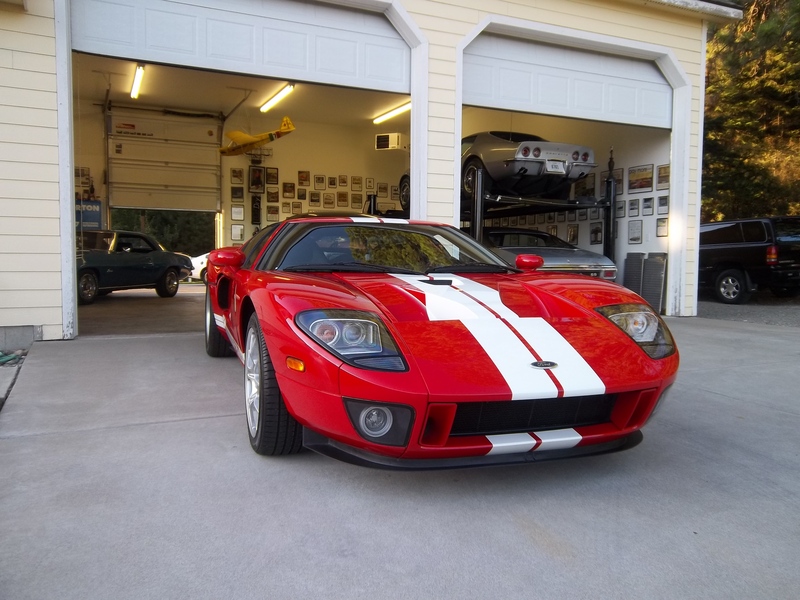 2005 Ford GT, 5.4 Liter Supercharged Engine, 8 Cylinders (Feedback Fuel System), Fuel Injection, 6-Speed Manual Transmission. Exterior: Mark IV Red Clear Coat, Interior: Ebony Leather W/ Carbon Fiber Structure. Fog Lamps, Air Conditioning, Tilt/Telescoping Leather Wrapped Steering Wheel, Fog Lamps, Forged Aluminum Capless Fuel Filling System, Etc…..